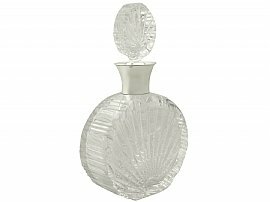 This fine antique George VI cut glass and sterling silver mounted decanter has a circular shaped form. 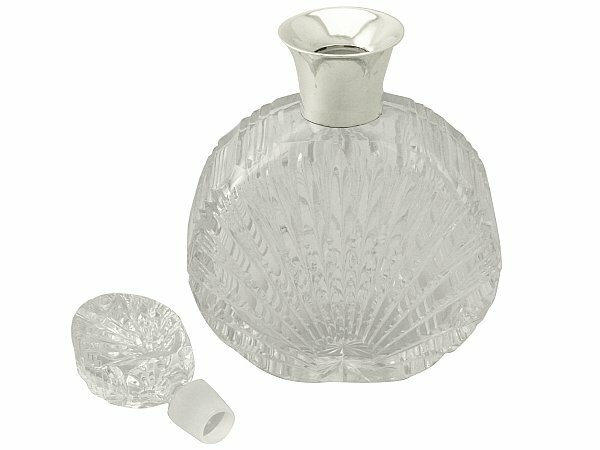 This antique glass decanter is fitted with a plain and unembellished flared hallmarked sterling silver collar. 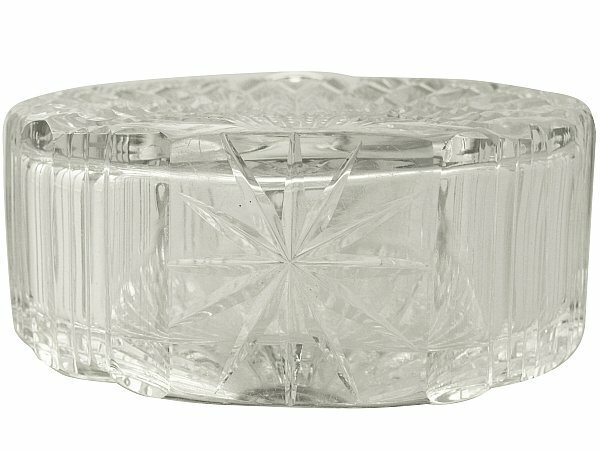 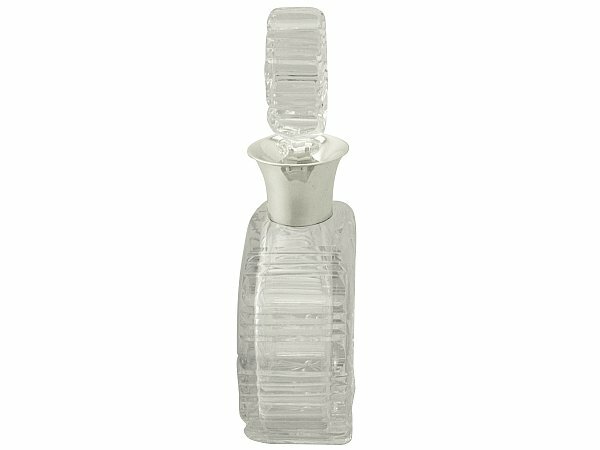 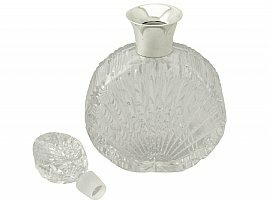 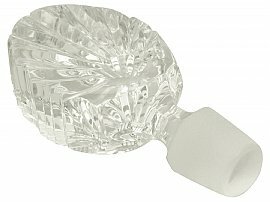 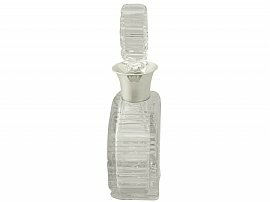 The decanter retains the original impressive oval shaped cut glass stopper, in the Art Deco style. 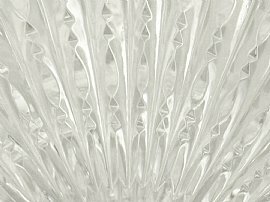 The original glass body and stopper of the decanter are embellished with impressive Art Deco style starburst cut glass ornamentation radiating from the lower central portion and continues across the sides to form a ribbed edge. 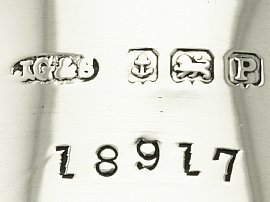 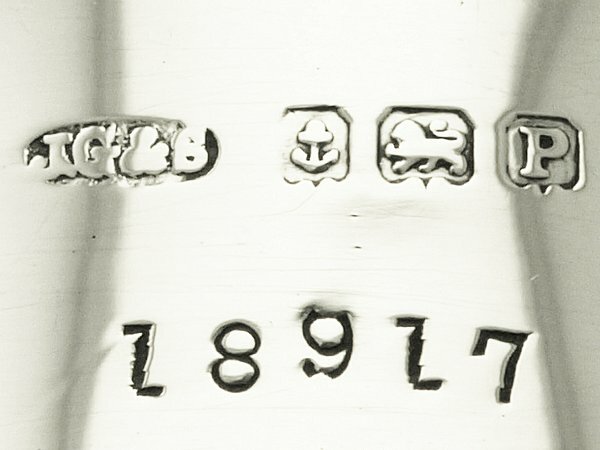 The body of the decanter is further ornamented with a star cut motif to the underside. 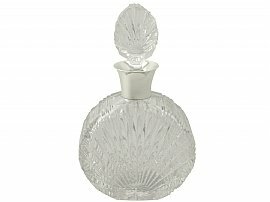 This mount of this antique Art Deco style glass decanter is an excellent gauge of silver, fine quality and in excellent presentation condition. 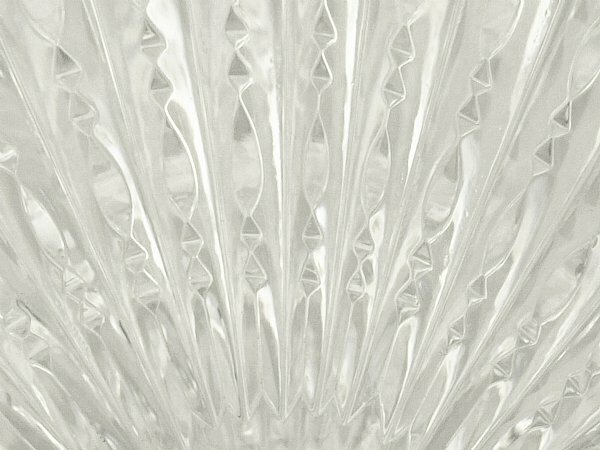 Reflections in photographs may detract from the true representation of this piece of antique glassware.